The Arts and Humanities Research Division (AHRD) of the Athens Institute for Education and Research (ATINER) has organized its first Annual International Conference on Humanities & Arts in a Global World which was held in Athens, Greece on 3-6 January 2014. In the past, the five research units of AHRD have organized 30 annual international conferences on history, philosophy, literature, linguistics, languages, as well as the visual and performing arts. This first annual international conference offered an opportunity for cross disciplinary presentations on all aspects of humanities, arts and related disciplines. 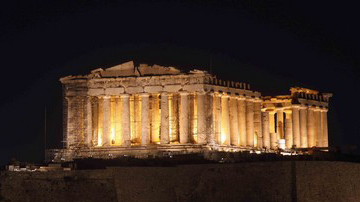 The meeting has organized sessions and, in addition, a number of cultural and educational activities such as an urban walk around Athens (which included the Acropolis), an additional dinner, a special one-day cruise to the Greek islands and a visit to Delphi. All areas of arts, humanities and related disciplines were considered, including papers on education. Submission of abstracts was closed on 31 May 2013. The Athens Institute for Education and Research (ATINER) was established in 1995 as an independent academic association and its mission is to act as a forum, where academics and researchers - from all over the world - can meet in Athens in order to exchange ideas on their research and to discuss future developments in their disciplines. Since 1995, ATINER has organized more than 200 international conferences, symposiums and events. It has also published approximately 150 books. Academically, the Institute consists of five Research Divisions and twenty-three Research Units. Each Research Unit organizes an annual conference and undertakes various small and large research projects. Academics and researchers are more than welcome to become members and contribute to ATINER's objectives. The members of the Institute can undertake a number of academic activities. If you want to become a member, please download the form (membership form).